The Lego Bionicle creations I've published up to now have all ranged in size from sub-chibi to mid-sized titan. Oh, how things can change! 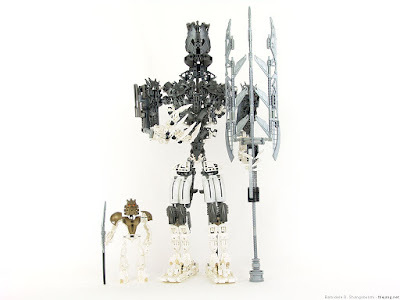 This Toa Takanuva MOC started its life as, well, a titan Takanuva set. I looked at the chest armor and saw that it could be used as the basis of an enormous mask with its two large eye-like holes, and soon I found myself building up some semblance of a head to see how big the rest of the model would have to be. 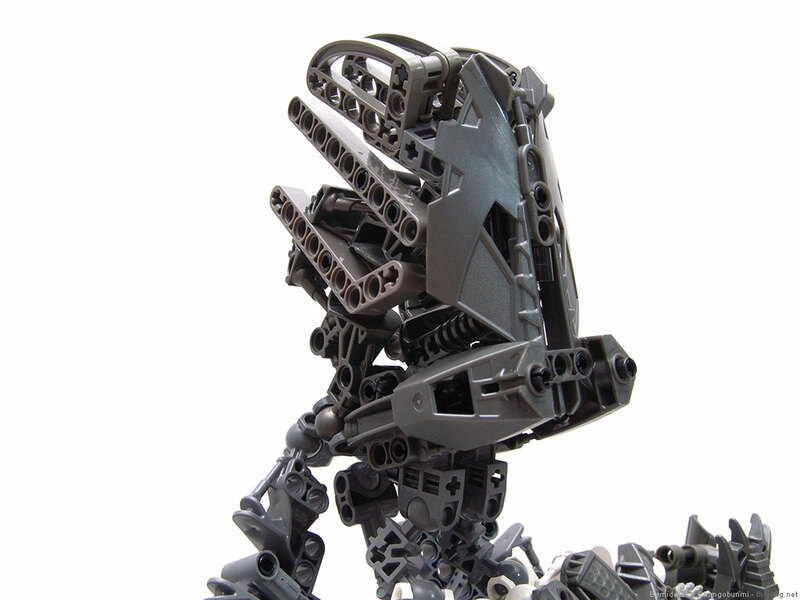 "Really, really big" was the answer, and the MOC ended up standing over 22 inches tall. 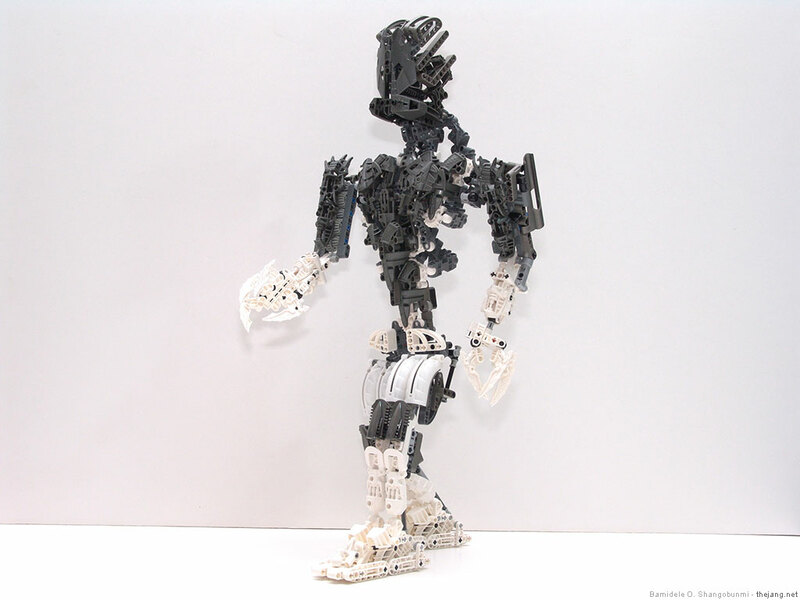 Not my tallest Bionicle creation, but close. 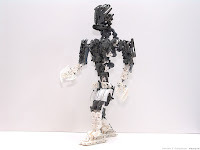 I built both the head and the body to be as light in weight as possible without looking too stringy, to try to minimize problems with load-bearing joints and posability. I wanted to make sure that even though it was a big model, it would still be able to pose halfway decently. The whole thing was built at home, but for display somewhere else, so I needed to be able to break it down into smaller parts for easier transportation. 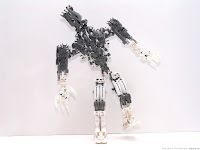 The arms are attached by nothing more than a single-length bit of axle each, and the legs can be removed fairly easily as well. You can some of the high-level details of the construction in the video below. 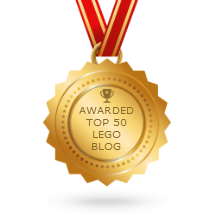 Please be sure to subscribe to my Lego YouTube channel!